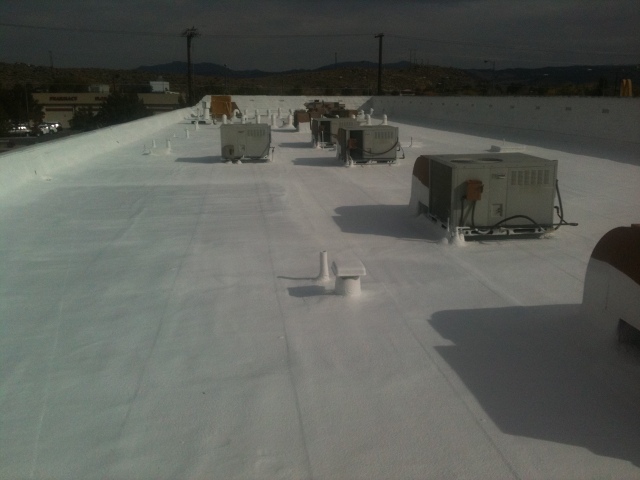 Spray foam roofing with a white elastomeric protective coating. Added significant insulation, fixed roof ponding. We Fix Flat Roofs! 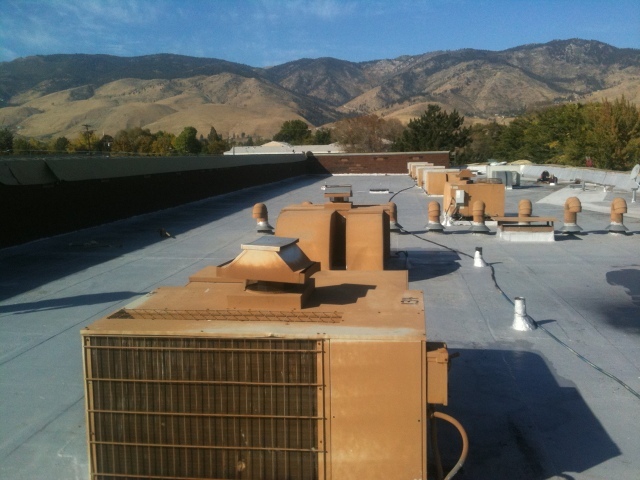 For over 35 years Roof Crafters has been Reno, Sparks, and Carson City’s Flat Roof Specialists. Commercial roof repair, leak repair, roof replacement and spray foam roofing. Roofing company serving: Reno, Sparks, Carson City, and Tahoe. Over 5 Million Square Feet Installed in Northern Nevada.